Named as a nod to the Fair Debt Collection Practices Act’s least sophisticated consumer provisions, the podcast has released 12 episodes so far. The latest episode, “Popeye is No Cowboy” discusses a recent decision from the Third Circuit Court of Appeals, which ruled that under the Fair Debt Collection Practices Act a debt buyer meets the definition of a debt collector. 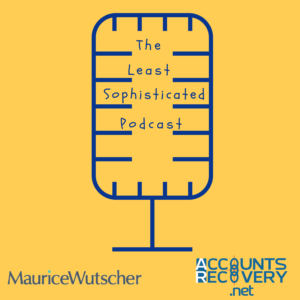 In Episode 11, “Dissecting the BCFP’s FDCPA Consent Order,” the CEO of National Credit Adjusters, Brad Hochstein, joins the podcast to discuss the Bureau of Consumer Financial Protection’s consent order with his company. Episode 10, “Analyze This,” focuses on Kathy Kraninger’s nomination as the next director of the Bureau of Consumer Financial Protection. The podcast can be accessed for free on iTunes and Google Play or by clicking here.